Last major update issued on March 31, 2008 at 03:55 UTC. The geomagnetic field was quiet to active on March 30. 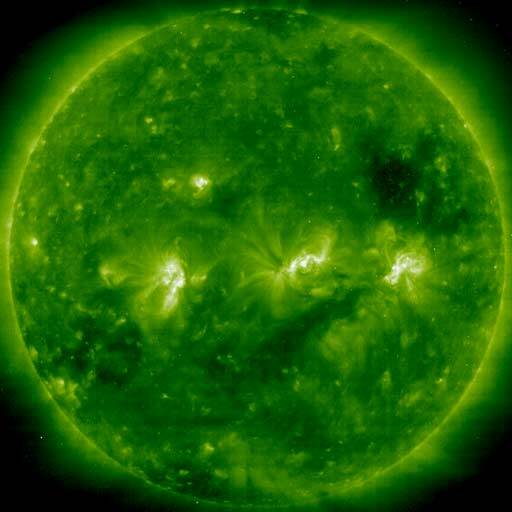 Solar wind speed ranged between 440 and 551 km/s under the waning influence of a high speed stream from CH318. Solar flux measured at 20h UTC on 2.8 GHz was 80.5. The planetary A index was 8 (STAR Ap - based on the mean of three hour interval ap indices: 8.5). Three hour interval K indices: 42222112 (planetary), 42322112 (Boulder). Region 10987 decayed slowly and quietly. Region 10988 decayed further and was quiet. Region 10989 decayed and could become spotless today. 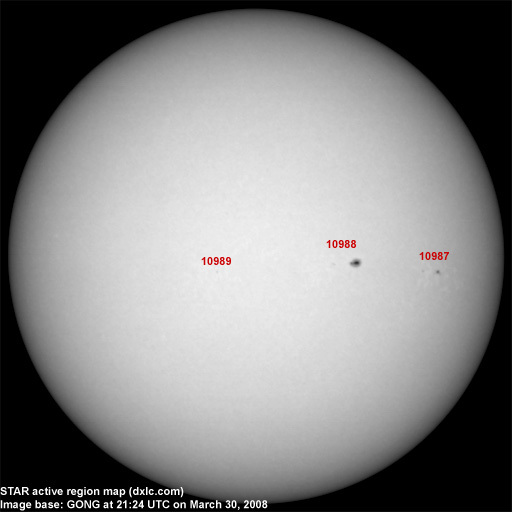 March 28-30: No partially or fully Earth directed CMEs were observed. 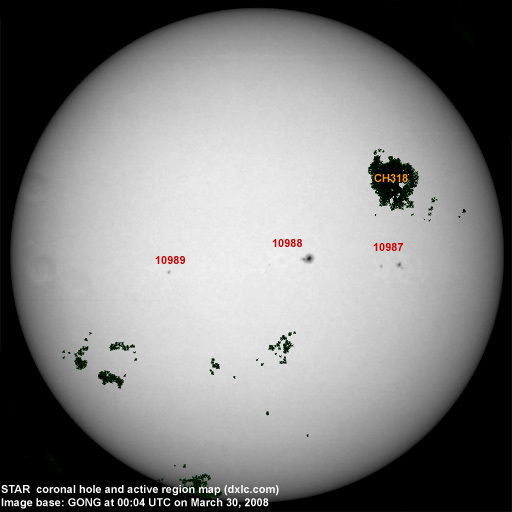 A recurrent trans equatorial coronal hole (CH319) will likely rotate into an Earth facing position on April 1-5. Processed SOHO/EIT 195 image at 05:36 UTC on March 30. The darkest areas on the solar disk are likely coronal holes. The geomagnetic field is expected to be mostly quiet on March 31 - April 3 and quiet to minor storm on April 4-8 due to effects from CH319.